The laws of science tells us that glass is unable to emit light. Artist Victor Engbers chose to ignore the laws of science and went on a quest to make the impossible possible. He found out that uranium-glass (which already exists for over 2000 years) lights up in UV lighting. The glass lits up in a green fluorescent color. 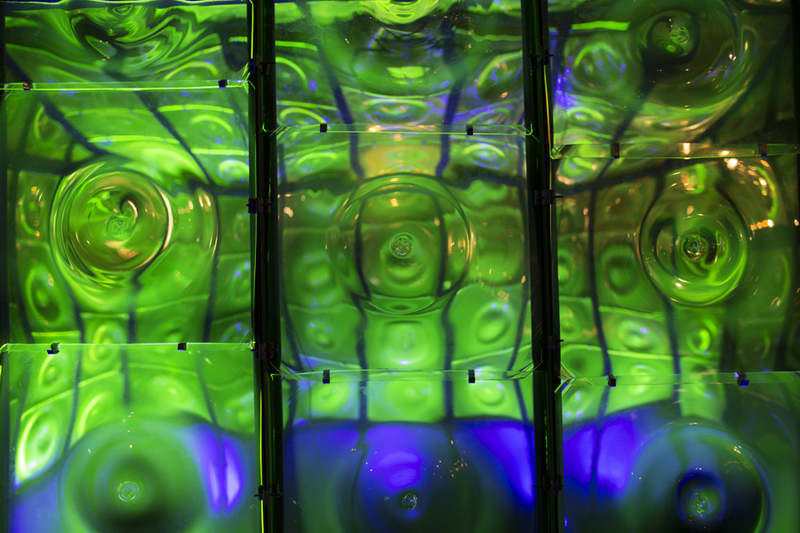 Victor teamed up with a professional glassblower to create an entire Greenhouse of this uranium-glass. 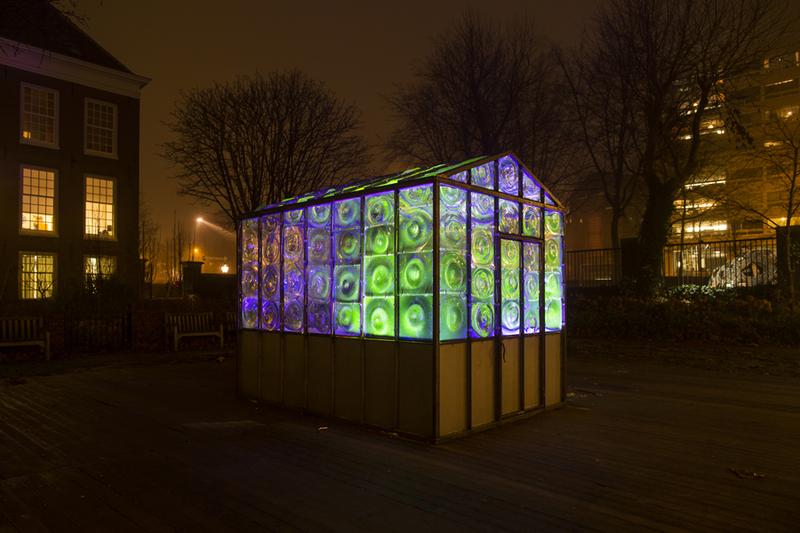 GREENHOUSE from Victor Engbers on Vimeo. Victor Engbers divides his time between creating art and writing. He mainly makes iconic sculptures and performance art. With his work he searches for new discoveries and offers new perspectives to look at the world by looking for unknown and invisible boundaries. He collaborates with other artists and collectives such as Eddie the Eagle Museum, Biennale Twente, Into the Great Wide Open festival and Mediamatic Amsterdam a lot.